Dr. Daniel Suez is a board certified allergist/immunologist in practice in Irving, Texas since 1992. He is a former Department Head of Allergy/Immunology and Associate Professor at the UT Health Center at Tyler Texas from 1986 to 1992. Dr. Suez is affiliated with several hospitals in the area, including Las Colinas Medical Center, Baylor Medical Center at Irving and Children's Medical Center of Dallas. He received his medical degree from Paris Descartes University Faculty of Medical Science in Paris France in 1975 and has been in practice ever since. Dr. Suez is also board certified in Pediatrics and Diagnostic Laboratory Immunology. He completed a three year Allergy/Immunology Fellowship in 1986 at the National Jewish Center for Immunology and Respiratory Disease in Denver Colorado. 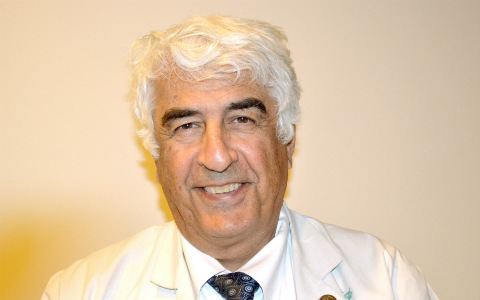 Dr. Suez has authored numerous publications in professional pear review medical journals and has a long experience in clinical research. Board Certified in Pediatrics, Allergy & Immunology and Diagnostic Laboratory Immunology. Save some time. New patients can complete the new patient forms prior to coming to the clinic.